When will be Мамахохотала next episode air date? Is Мамахохотала renewed or cancelled? Where to countdown Мамахохотала air dates? Is Мамахохотала worth watching? Do you want to relax after a working week, cheer yourself up and laugh heartily? Evening show "Mamahohotala" on NLO TV – just what the doctor ordered! Funny miniatures of everyday life, discussing relevant topics with invited guests, music, sketches and, of course, a loading dose of signature humor from the Studio "Mamahohotala" is a real depressant of the day. Мамахохотала next episode air date provides TVMaze for you. 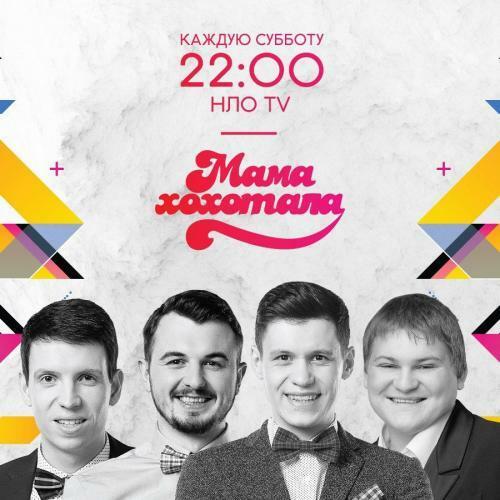 EpisoDate.com is your TV show guide to Countdown Мамахохотала Episode Air Dates and to stay in touch with Мамахохотала next episode Air Date and your others favorite TV Shows. Add the shows you like to a "Watchlist" and let the site take it from there.